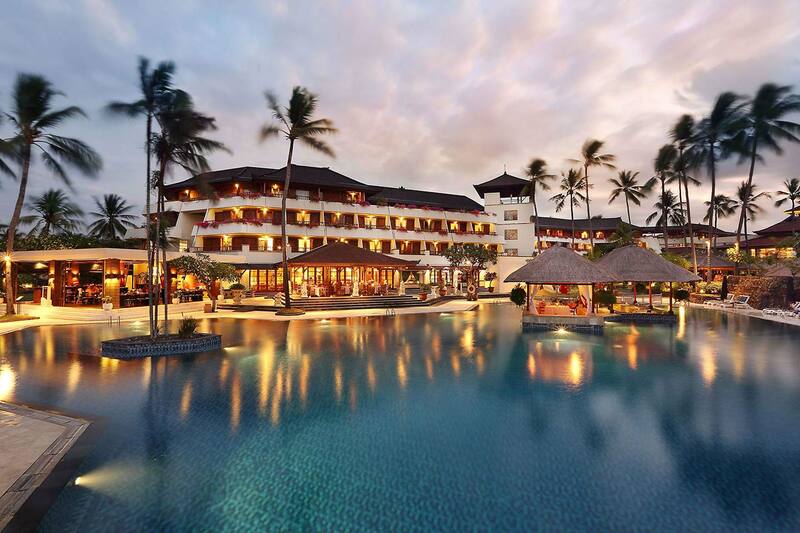 This lavish resort hotel and spa set amid tropical gardens is 600 m from the beach and 18 km from the posh shopping in Seminyak. 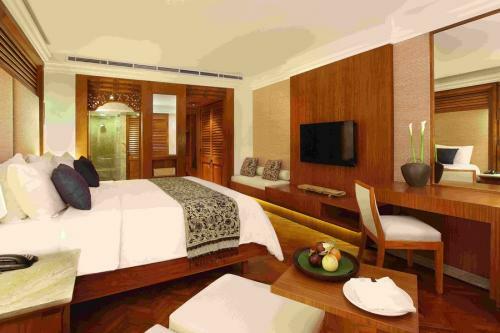 Featuring Balinese timber work, the rooms have balconies or terraces, flat screens, minibars, and tea and coffeemakers. Upgraded units add sitting areas, and family rooms come with bunk beds. Luxe suites offer bedrooms, 2-stories and/or private pools. Room service is available. Amenities include a tranquil spa, 3 outdoor pools, a private beach, and a gym, plus tennis and racquetball courts. There's also a playground and a game room. Dining options include a breakfast buffet, 5 restaurants, 4 bars and a dinner theater. The Premier rooms offer additional space, built over 40 sqm, and feature an additional sitting area and bathroom complete with full-size bathtubs surrounded by wooden shutters that open up to reveal the guest room beyond. These exclusive Palace Club Rooms offer spectacular garden views and luxurious accommodation in spacious guest rooms with marble en-suite bathrooms. 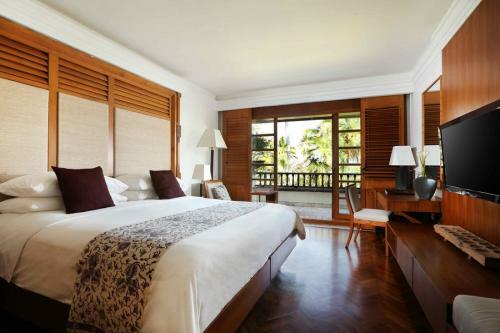 Decorated with hand-loomed Balinese fabrics and polished wood, the suites are filled with natural light by day and bathed in a warm glow at night after turn down. 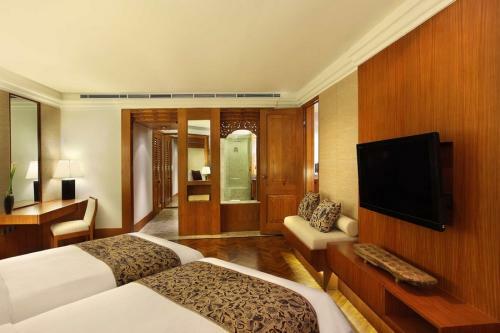 Indulge in the spacious Palace Club suites offering additional space to include an adjoining living area. Combining modern resort facilities with traditional Balinese features creates a sense of indulgence and comfort within the privacy of the Palace Club. The Palace Club privileges will complete your ultimate stay.